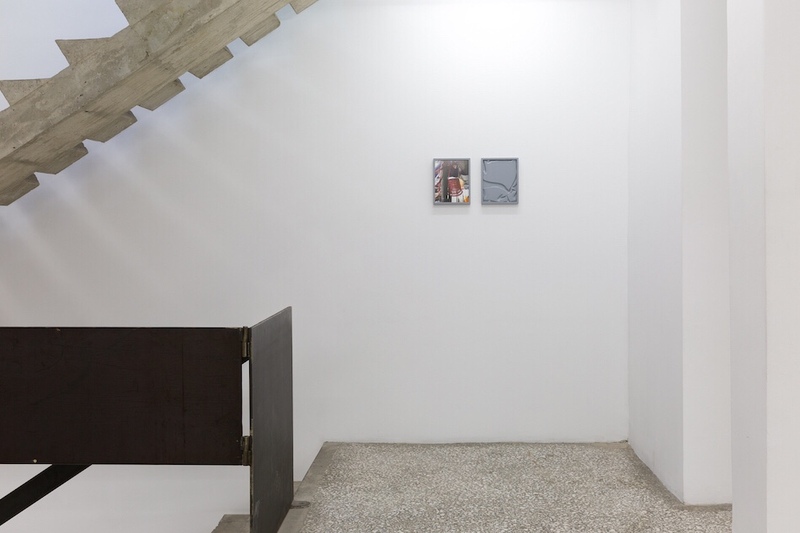 The art scene in Athens has been tipped as one to watch with a growing mixture of international and local artists, curators and art lovers who are using the city’s resources to make groundbreaking art. The city was thrown into the spotlight last year with controversial Documenta 14 arts festival taking place here while the Art Athina fair continues to welcome galleries from around the world to exhibit work even after twenty-five years. We all know that August is holiday time for Athenians but this doesn’t have to stop diehard art fans from finding some hidden gems. Hot Wheels Projects is a relatively new space located near the northern district of Omonia. Hot Wheels was founded and is run by Hugo Wheeler, a Central Saint Martins graduate from London with a background in Fine Art and Curation. The space opened a year ago and began as a traditional gallery but has now developed into a ‘project space’ shifting Hugo’s role from curator to more of a programmer or facilitator for others’ artistic endeavours. Their latest project is titled Sunny Days and sees the renovated apartment handed over to New York based Gerasimos Floratos in collaboration with Yeson Art Center in South Korea. This is Hot Wheels’ “first socially active exhibition” tackling the more difficult subject of art and disabilities. 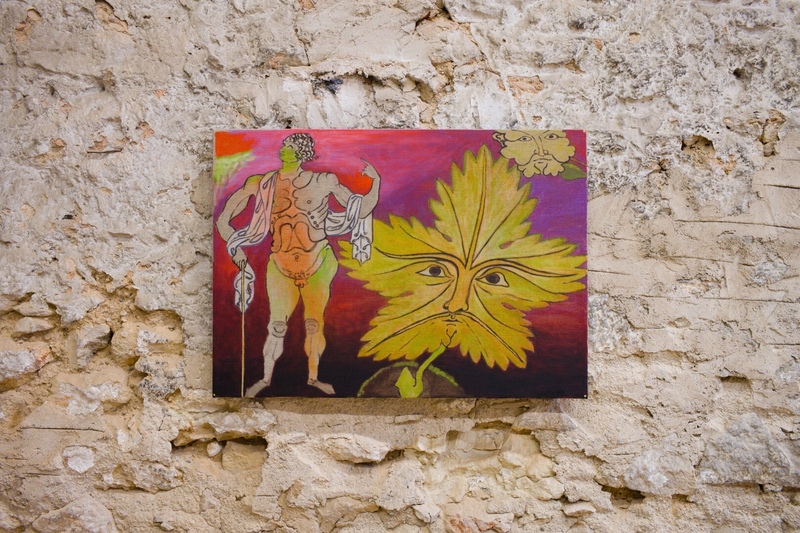 Floratos’ Neo-Surrealist paintings were transported from New York to South Korea and distributed to artists affiliated with the center which provides studios, teaching and art supplies to artists living with developmental disabilities. 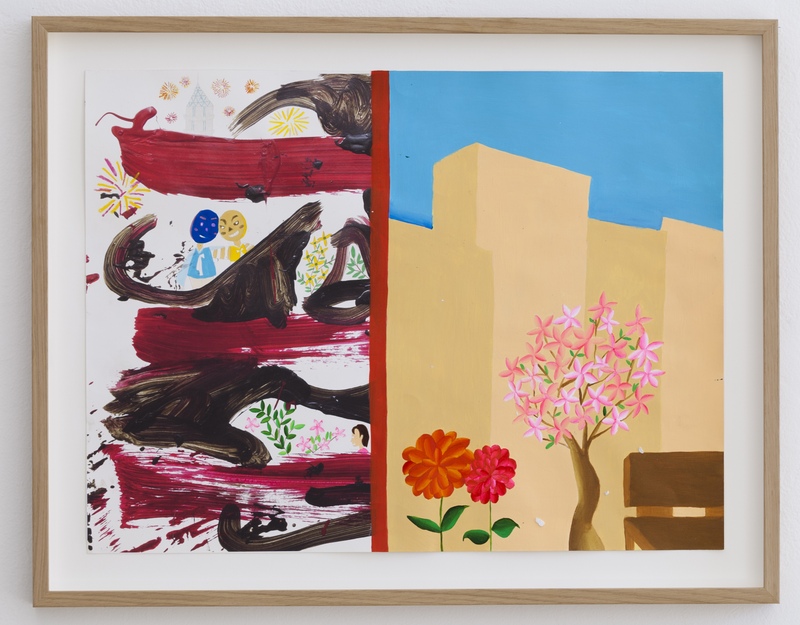 These artists then worked directly on Floratos’ paintings creating a diverse range of new pictures which vary from illustrative to gestural in style, expanding the symbolic possibilities of the paintings. These artworks assert questions about authorship, geographies and disabilities in a nuanced and considered way. Surrounded by industrial architecture, the Rodeo in Pireas was originally an 1900s commercial arcade which housed a number of businesses connected to maritime trade. 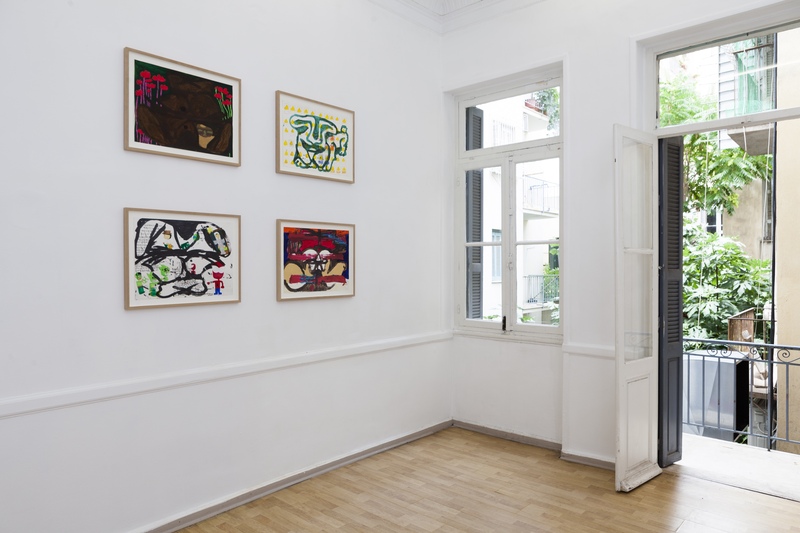 The gallery as an organisation was actually founded in Istanbul in 2007 by Greek curator and gallerist Sylvia Kouvali. When travelling through Istanbul, she ended up staying for 10 years, and saw the city transform into an amalgamation of subcultures. Kouvali used the growing discussions around nationalism, identity and Europe, to initially inform her program. Rodeo was ‘an experiment’ to begin with and took place in an old Tobacco warehouse space given to her by a very generous businessman. 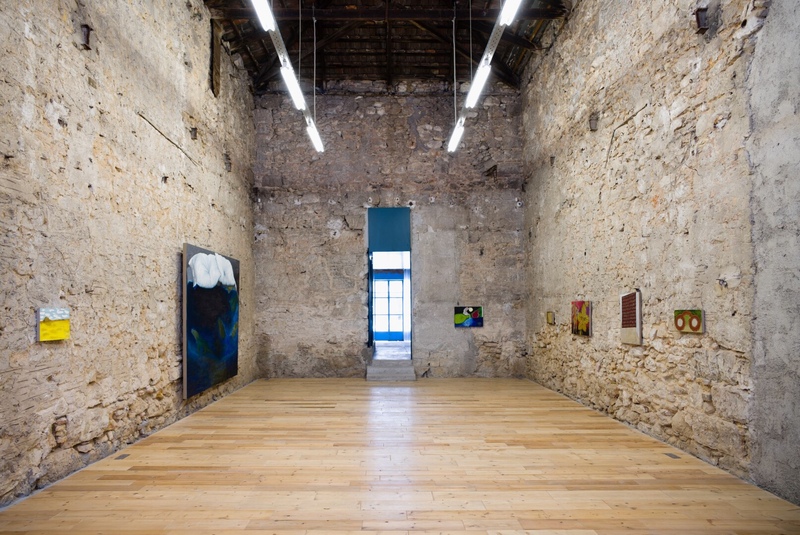 Today the original space has closed but Rodeo now has two sites, a London gallery based in Soho and the newest space in Pireas, the port of Athens. Today Rodeo represents a diverse range of artists like James Richards and Duncan Campbell and as well as artist Banu Cennetoğlu who’s work The List was recently vandalised at the Liverpool Biennial. Rodeo Pireas works at a slower pace than a lot of galleries today, meaning they have about three or four exhibitions a year. The current show at Pireas is Snowlion by Leidy Churchman. Part of an active group of LGBT / Queer thinkers and creatives in New York, Churchman’s works with a wide range of found images and will often directly appropriate these by embodying them through his painterly practice as a meditation on the image. He is acting on the image rather than passively observing them. He finds his images from a diverse source of images, from books to the internet to cartoons, this results in an eclectic mix of both ‘style’ and subject. 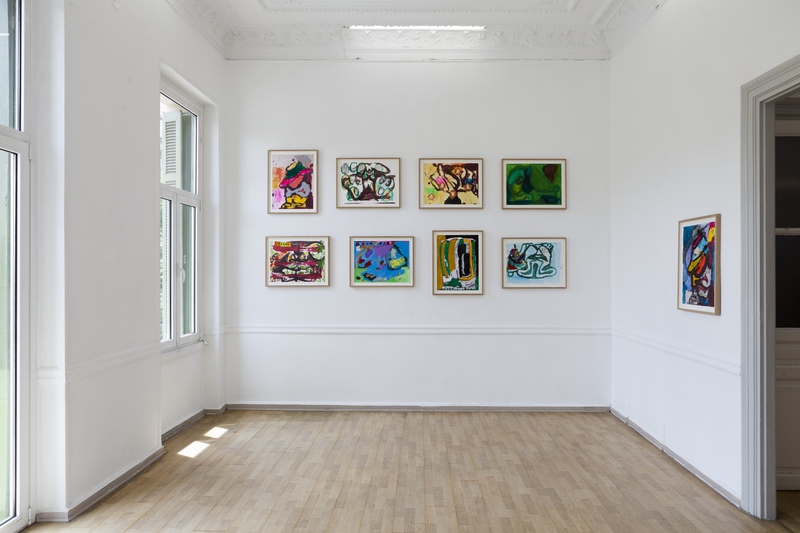 Throughout the two rooms the paintings are continuously in conflict with one another and sometimes even internally within the logic of the composition. Combining humour, the mundane and some serious political references, Churchman creates a show which acknowledges the difficulties of unifying a single vision on the world and embraces the complexities and sheer abundance of life. 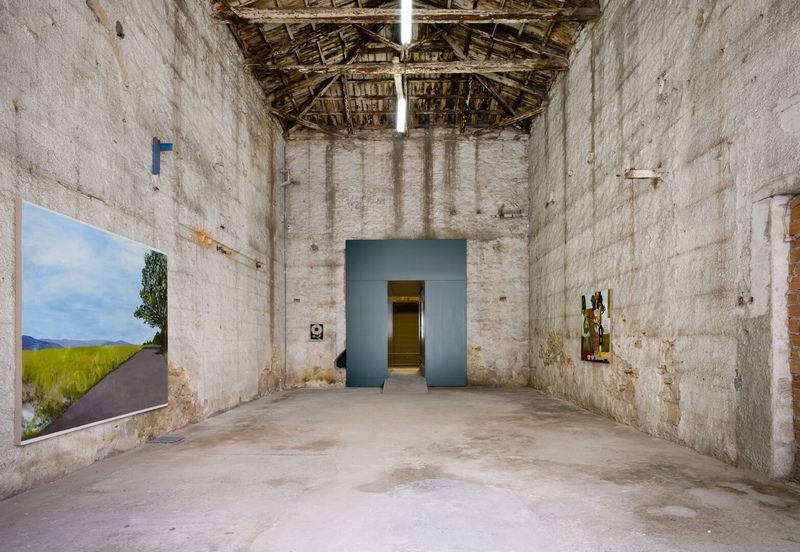 The building which houses The Breeder was originally an ice cream factory in the 70s then a car mechanic shop before its award winning transformation ten years ago by Aris Zampikos. The Breeder is a secluded and introverted space that packs a very impressive punch. Despite its inward architecture, Director Nadia Gerazouni tells me the gallery takes a very active and extroverted role in promoting their artists around the world in art fairs in Europe and Asia. Gerazouni says that there is “not one thread” joining all of the artists the gallery represents, instead it is important that each of them has a unique point of view. The Breeder represents both Greek and international artists producing a very mixed and diverse program in terms of age and origins. 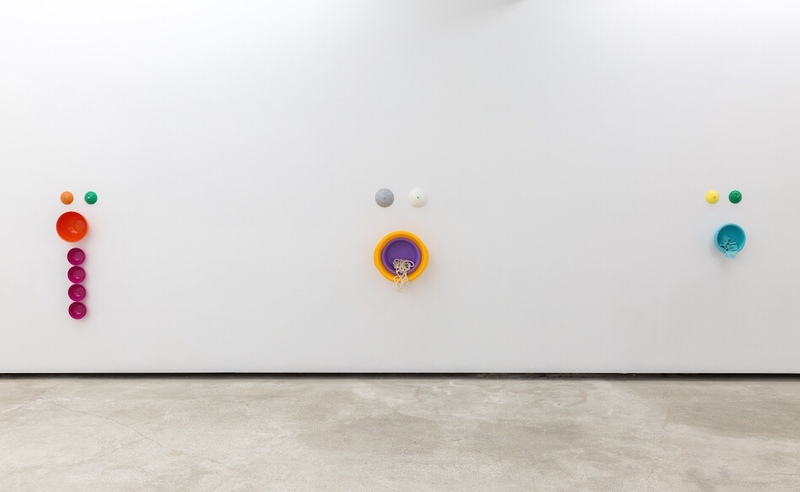 Currently on show is, Swiss-Iranian artist Vanessa Safavi’s, Turns and Returned which sees the artist continuing her interest in the potentiality of silicon. The elasticity and weight of the material somehow give the plastic a living quality. Safavi describes this as “similar to a body and to flesh” and uses these associations to create the stories behind her works. 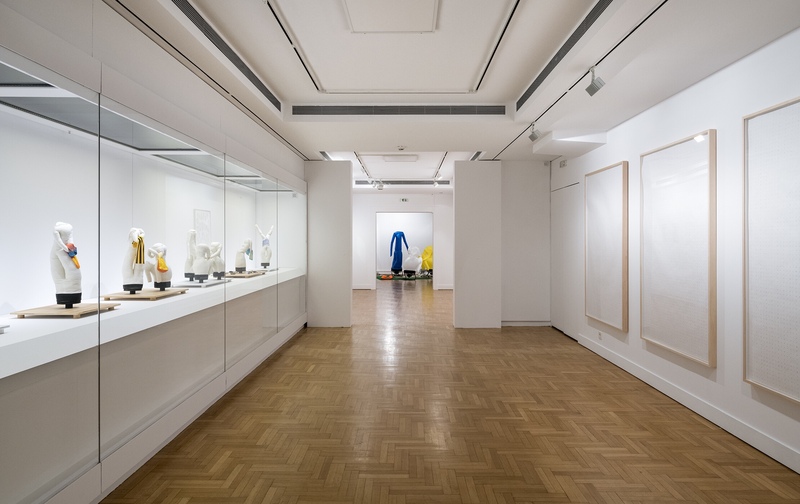 The Cycladic Museum is a museum primarily concerned with objects from 5,000 years ago however they also host a spectacular contemporary art program often in relation to artists exploring Greek heritage or classical history. Throughout summer they have opened their doors to American artist Paul Chen who was invited by NEON foundation and has filled the space with his dynamic nylon sculptures. Odysseus and the Bathers has been curated by British curator Sam Thorne who has taken a very academic and thorough approach towards the show. The show centres around a word found in the first line of the Odyssey – polytropos. Chen is fascinated with this word and it’s English translation which has been debated over by scholars for hundreds of years. It has even lead him to write an essay on the matter. His interpretation of polytropos has been summarised in the press release as the binding between “reason and creativity”. 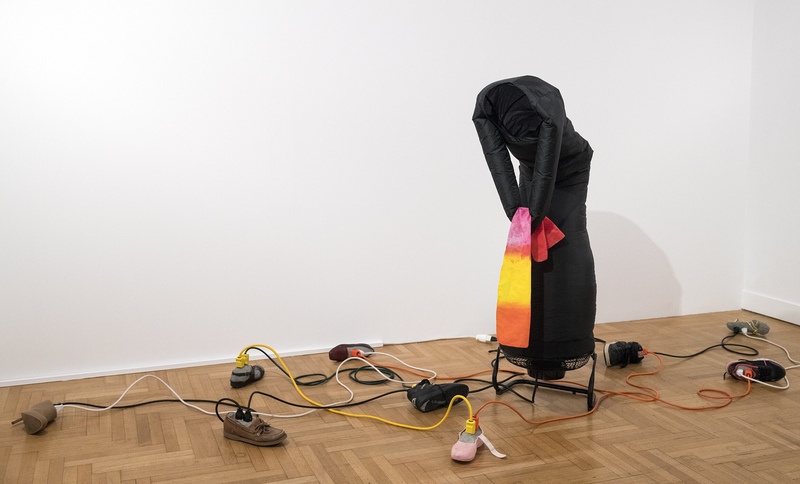 Combining this highly theoretical approach to art making alongside an analysis of the motif of bathers in western art, Chen has produced these shifting nylon bodies which are propelled by fans. The figures could seem almost comic with their childish primary colours but the fans create spontaneous jolts of energy which confuse and disrupt the moment. These bodies are positioned as if reenacting Homer’s epic adding further layers to the work which both describes and performs the Odyssey. Chapters 5 & 6 Installation: 4 channel HD video and 2 channel sound + sub woofer 12’53’’. 7 wooden towers at varying scale. 3 mini projectors with 3’ video. Images courtesy of artist via Megaron. Still from Gary Hill’s Remarks on Color (1994), Single-channel video/sound installation, video projector, two speakers, color, stereo sound, 45′. Image courtesy of artist via Megaron. To celebrate Athens as the 2018 World Book Capital, acclaimed curator and Director of Annex M, Dr Anna Kafetsi, has organised a trilogy of exhibitions at Megaron, the 1991 concert hall designed by Christopher Alexander. Annex M is the visual art center behind the Athens Concert Hall which opened last year to a similar program of video installation around the building and surrounding gardens. The first group exhibition in this series of three is called The Last Reader. 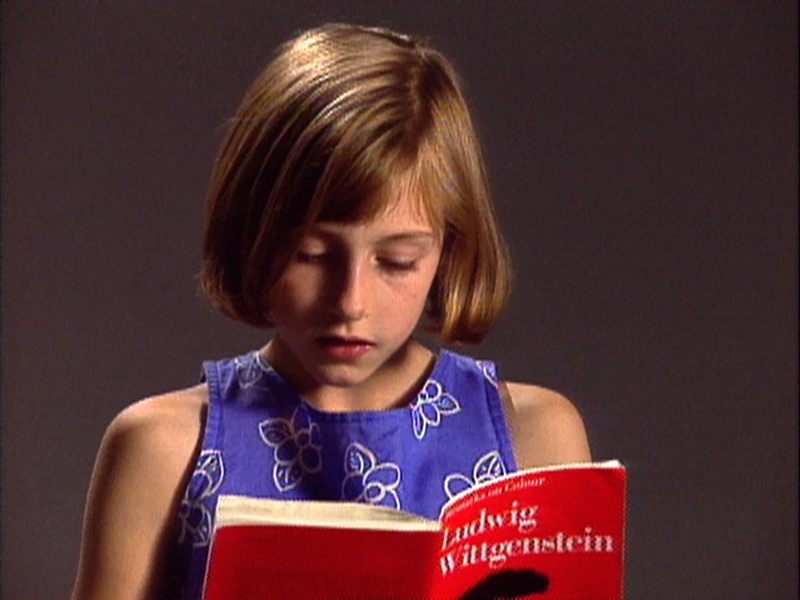 It explores the limits of readings and the relationship between text and reader. The authority of text is questioned in the exhibition, interrogating the lines between fiction and non-fiction and the hierarchies of text as a form as well as its status as an intellectual pursuit. It raises two important points, the power of art to transgress language and the importance to protect and use language carefully during a time when it is frequently exploited. 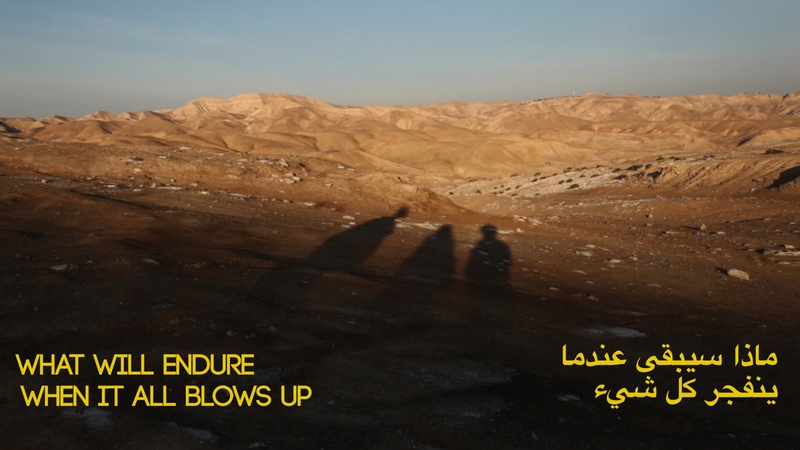 Inside Annex M is a powerful work by Basel Abbas & Ruanne Abou Rahme. 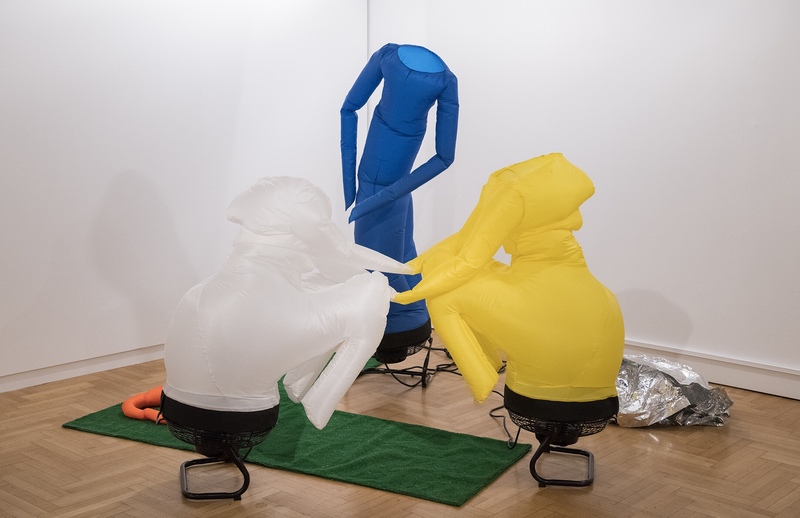 The artist duo work together across different medias to “engage in the intersections between performativity, political imaginaries, the body and virtuality”. When The Fall of the Dictionary Leaves all words lying in the street (2015) is the last chapter in a triology of work called The Incidental Insurgents which maps a search for a “new political language”. 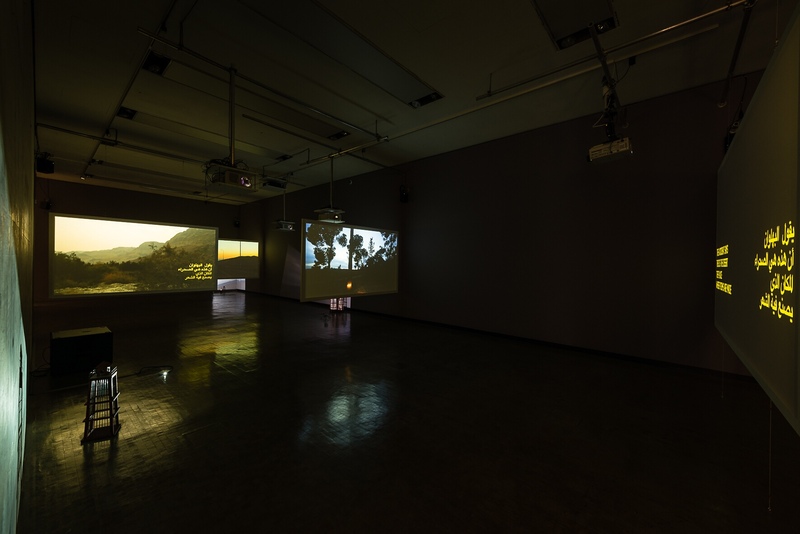 The darken room is filled with projectors and miniature watch towers made from wood which are strategically placed so that they cast shadows on to the work projected video. At one point the words “All of them dead” flash while oscillating arpeggios and deep bass shakes the room. These sounds intensify as a car journeys through the desolate landscape creating an immersive and emotional experience. Outside, the works are more abstract and include pieces from Didem Erk, Gary Hill and duo Sonia Leber & David Chesworth all who make meaningful and thought provoking videos that grapple these themes of interpretation, language and reading. The gardens are open from 6 in the evening but we recommend going when it gets so you can see the video installations clearly. You can read our full review of the show here.